The tandem bicycle is a popular image being used in invitations. It is especially perfect for bike lovers. 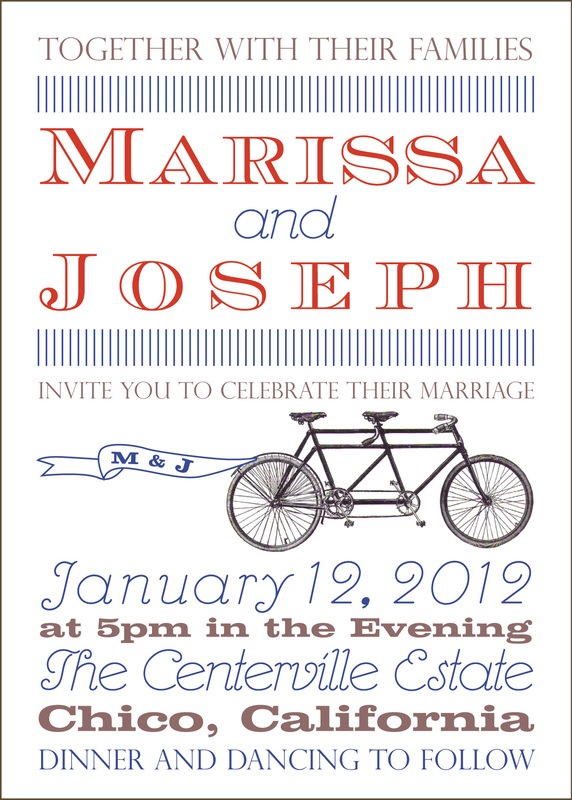 I recently designed a new tandem bicycle invitation (2nd image). The first image is a previous design. One is modern, and one in vintage inspired. Both design can be purchased through my Etsy shop here.